January 2016 - A Life From Scratch. C’s Picks – week of January 31st. Heak. Yeah. Today is the last day of January! You know what that means folks? That means we are basically in February which means we are that much closer to spring. I know, I know, February isn’t all that grand, but it’s a super short month with March being right around the corner. Anyone else hoping for an early spring? I know we are already aching for it! Yet for now let’s focus on what Sundays are all about. Let’s plan it out. 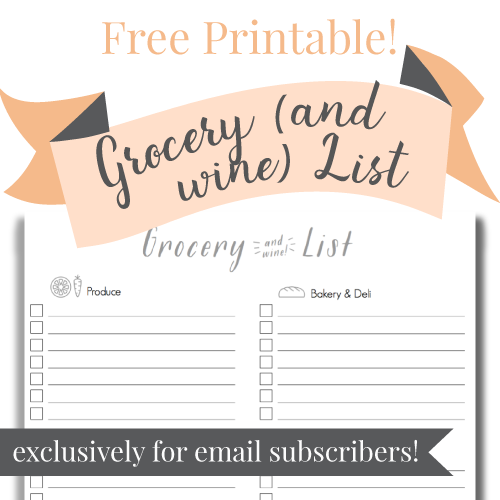 A whole brand new meal line up for you, along with a grocery list, because….well, I like you guys that much. 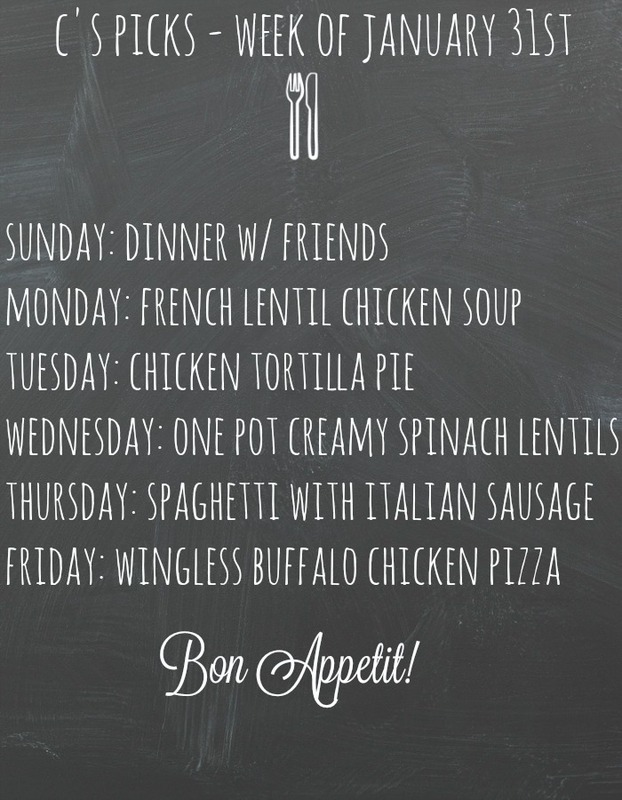 I hope you can find a recipe or two that would work well for your family this week. Happy cooking! On Sunday we are headed over to some dear friends for dinner. I’m in charge of salad and dessert. I’m thinking the delicious Mediterranean salad and our favorite: homemade chocolate chip cookies. Monday is always a great night for a soup and this french lentil chicken soup is perfection. Oh this one is an oldie but goodie. Chicken tortilla pie. Make it ahead during the day and pop it in the oven post after school activities and watch it disappear. Wednesday night I’m going out on a limb with M – creamy spinach lentils. I know I will be able to gobble up the whole bowl, hoping M is at least half as interested. I love making my mom’s homemade marinara sauce. Something about a big pot on the stove simmering away all day is just a wonderful thing. Tossed with some whole wheat pasta and roasted italian sausage? Dinner is done and everyone is happy. And that brings us to Friday and to our staple date night in pizza: wingless buffalo chicken. What do you think? Anything sound good? I’d so love to hear what you are cooking this week! With it being January, the month where the gyms are crowded and the diets are in full swing and the germs are everywhere, I thought I’d share some of our favorite little healthy living tips. These are items and habits that are apart of our daily lives and while we are, of course, not the epitome of health by any means, maybe a little tip might stick with you for your own family. Let’s be honest, in the dead of winter, we all need all the help we can get! Let’s do this. To start, wipe down those darn carts. I’ve made this a consistent habit this year and it seems to have helped. No wipes? Read on. I can’t say enough good things about this spray. I spray carts, airplane trays and armrests, and B’s hands every single time we leave his preschool. Keep a few in your purse. Continue on with the clean hands things, I make my children wash their hands as soon as they are home from school and each and every time they use the washroom. Obvious? You would think so. 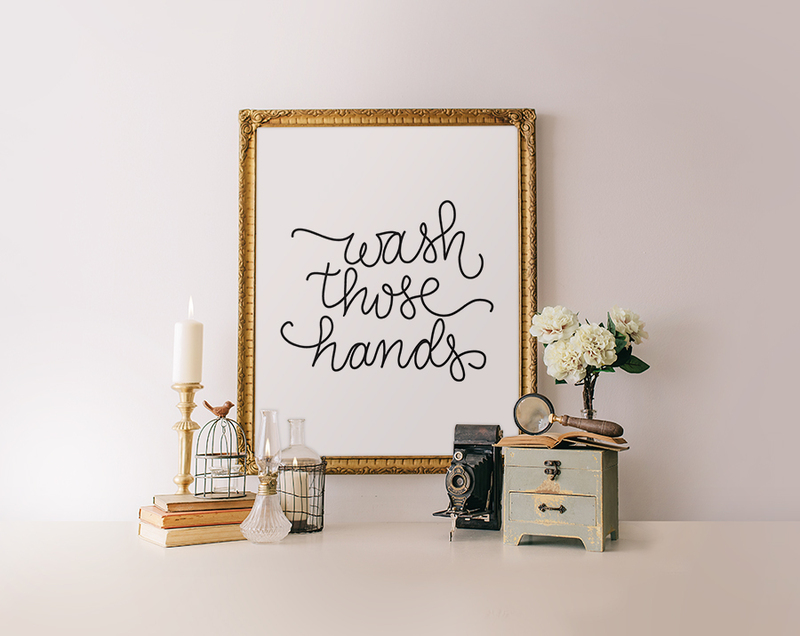 I have the above pictured print from the darling Etsy Shop, Printable Wisdown, hung in the bathroom as a gentle in your face reminder. We drink a lot of water. We each have a different colored Contigo water bottle and they are constantly being refilled and offered to the kids over and over again. M brings his on the train to work, and mine is always in my purse. We move around, a lot. I always say my best exercise is my boys. They need to be run so we are always finding some fun way to run them, preferably outdoors. Lately, it’s been snowboarding. 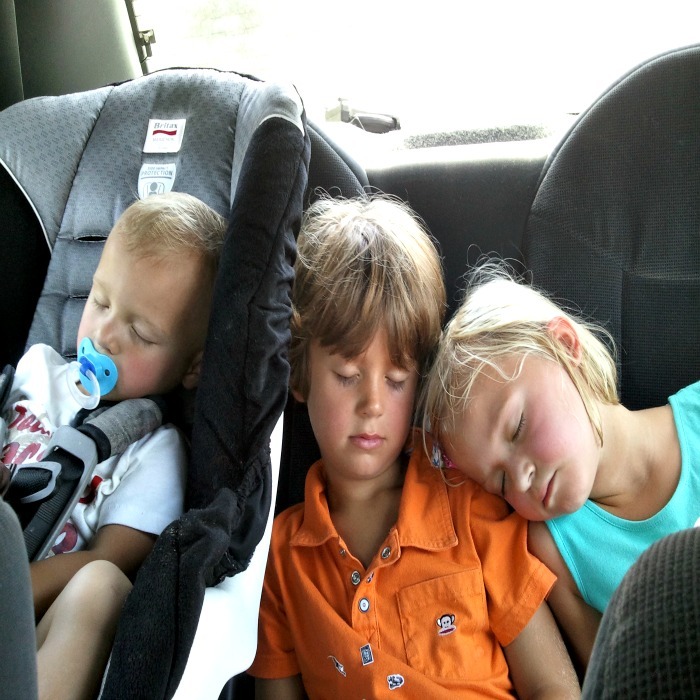 Up and down the hill is enough to make everyone fall asleep early. Ah, sleep. It’s strictly enforced around here during the week. 8:30 bed times, no exceptions. And I try to be in bed by 10:00. Weekends we are more flexible, especially with L.
Vitamins. This may be more of a mental thing but hey, they love them! Healthy(ish) eating. Fast food is extremely rare yet we aren’t doing any weird green juice cleanses or anything. Just normal healthy(ish) eating. Whole grain pastas, soups filled with veggies, slow cooked meats. L has been much more adventurous lately with eating vegetables which I am so happy about! It will come with B, I don’t stress about it. As far as mom’s workout routine, I do a three mile hike around our neighborhood 5(ish) times a week. If it’s 20 or above – I go. I also keep myself in check and occasional time a mile. I like to stay right around 8 minutes. Lugging groceries and laundry and kids around is my form of weight lifting. Humidifiers are in full force in the winter in all our rooms. 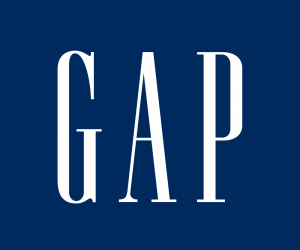 The boys love this one, as you can change the color. I love them because I can diffuse an oil in their room at night. Our favorites are peppermint (helps with breathing) and lavender (calming). Probiotics! Huge, huge change we started last year. Each morning my boys start the day with a probiotic smoothie from Trader Joes. They love them and while the scientific research is still being done on the full benefits, probiotics claim to help regulate the digestive system and help boost immunity. Hey, even if the benefits are only minimal, no doubt it’s a good way to start their day. Toothbrushes. Do you have a routine for how often you change yours up? We do and it’s monthly. Our motto whenever we go anywhere: ‘don’t touch anything.’ Perhaps I’m raising germophobes but when you have the kid that literally will lick the cart, well, desperate times man. A little exercise, healthy(ish) eating, and clean habits. Pretty simple around here. Any tips of yours to add? I’d so love to hear! *Photo credit: Printable Wisdom. So pretty, right? Check out all her darling work, here! Alright, we’re definitely feeling it now guys. It seems that Mother Nature decided to remind us that we’re deep into the serious winter months in the Midwest. It appears that the snow could start falling at any time, any day, and in the back of all of our minds we know what that means. Setting: The kids wrapped in blankets in front of the crackling fire, eyes glued to the TV as the local news reporter lists off the various school districts that have the day off tomorrow. Small mountains of snow begin to take form on the roads outside. I know, I know. Most of the time, the plow drivers are working through the night tirelessly to make sure that people can go about their day in the morning. But there’s always that one night where news stations jump the gun to claim this the ‘Winter Storm of the Decade’ or something like that. That’s right, I’m talking about a snow day, or as it seems most current these days: a deep freeze day. And moms? We need to be ready. 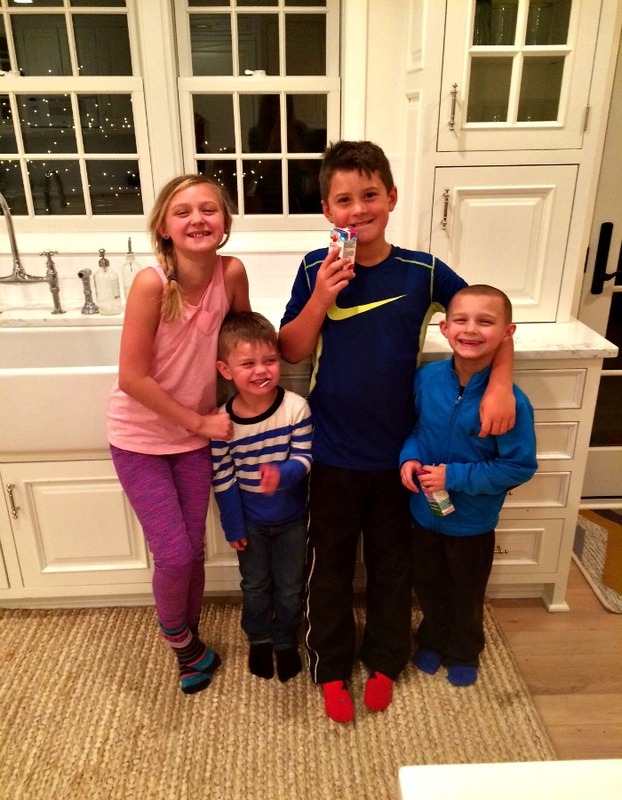 I put together some awesome ideas to do with the kids the next time school gets called off! And hey, don’t forget the wine. I figured the most logical way to divide this post up was to start with ideas that you can do inside and move towards the more adventurous ideas outside (brrr). I saw this one and thought it was incredibly easy and practical! 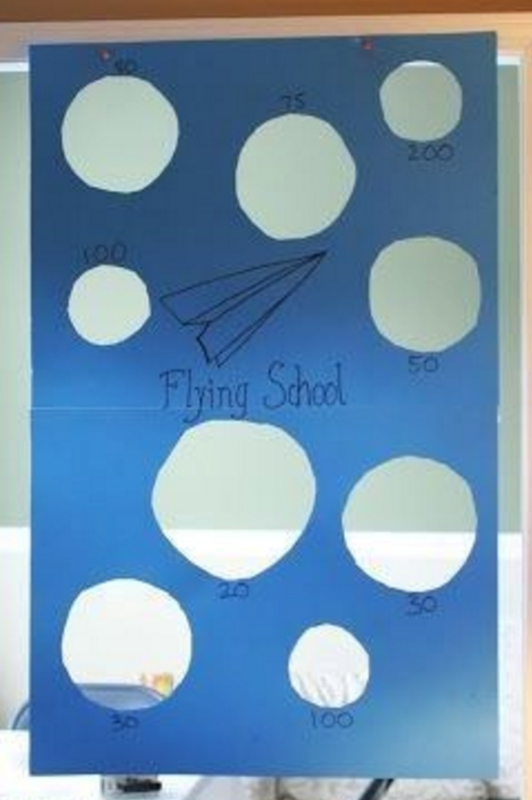 With no more than $10 for the supplies, you can convert any doorway to a paper airplane flight zone. Cue happiest day of Beckett’s life. All you’ll need to grab is some poster board, tape, a marker, scissors, and construction paper for the planes and you’re set to go. Cut out circular holes in the poster board and label smaller ones with more points (i.e. 100) and bigger ones with less. Just like that, hours of fun spent in the warmth of your own home. If you’ve resorted to having fun inside, chances are it is pretty darn unbearable outside. This idea gives the kids an opportunity to use a little imagination and can even be fun for adults too! If we can’t camp out, I think it’s time for a camp-in. If you’ve been camping before, you probably have a kid-sized tent sitting in the garage. 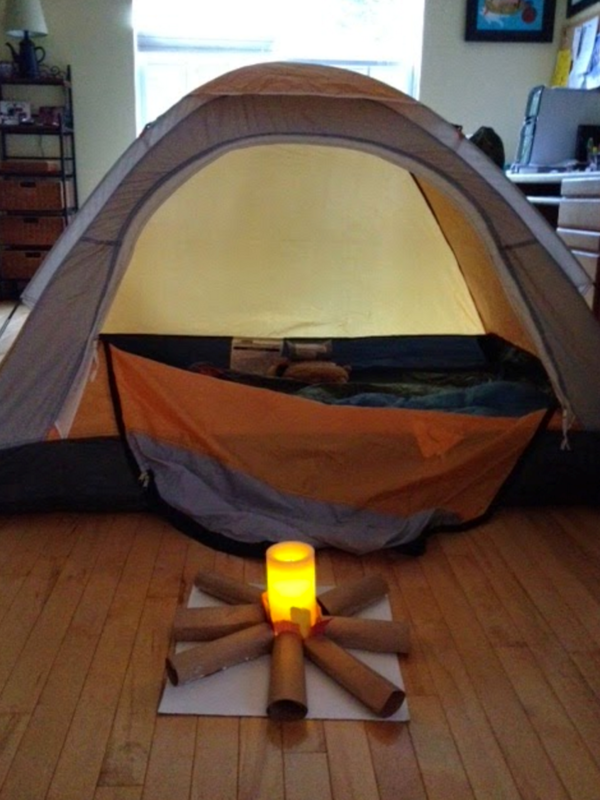 Make some space in the room that seems to provide the best campground and set up shop! Make sure to put blankets under the tent so they stay nice and cozy. I found an awesome DIY fireplace idea as well and figured it would make a great addition to this idea. Check the recycling bin for a pizza box or square piece of cardboard for the base and some cardboard paper towel tubes from the recycling bin (or any brown paper that can be rolled into tubes). You’ll also need some glue, tape, and some red, orange, and yellow construction paper. 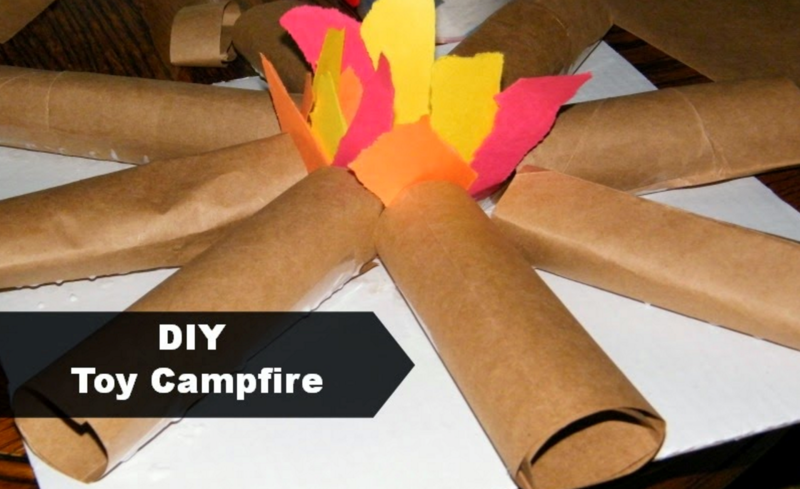 Start by assembling the paper towel tubes into a circle, resembling the logs of the campfire. Put a dab of glue on each piece and attach it to the pizza box base. Rip up rough edges of the colored construction paper to make the flames, and tape the ‘fire’ to the middle of the log circle. Check around to see if you have any battery powered candles lying around, and put it in the middle of all of this and boom. Fire! Attach marshmallows to the end of sticks and pretend roast them with the kids and have a blast at your newly created indoor campsite! It’s also an awesome time to break out the board games and spend an hour or two getting into bouts of Clue or Monopoly. Use your imagination here! The indoors can definitely become the place to be with these ideas for the next deep freeze. 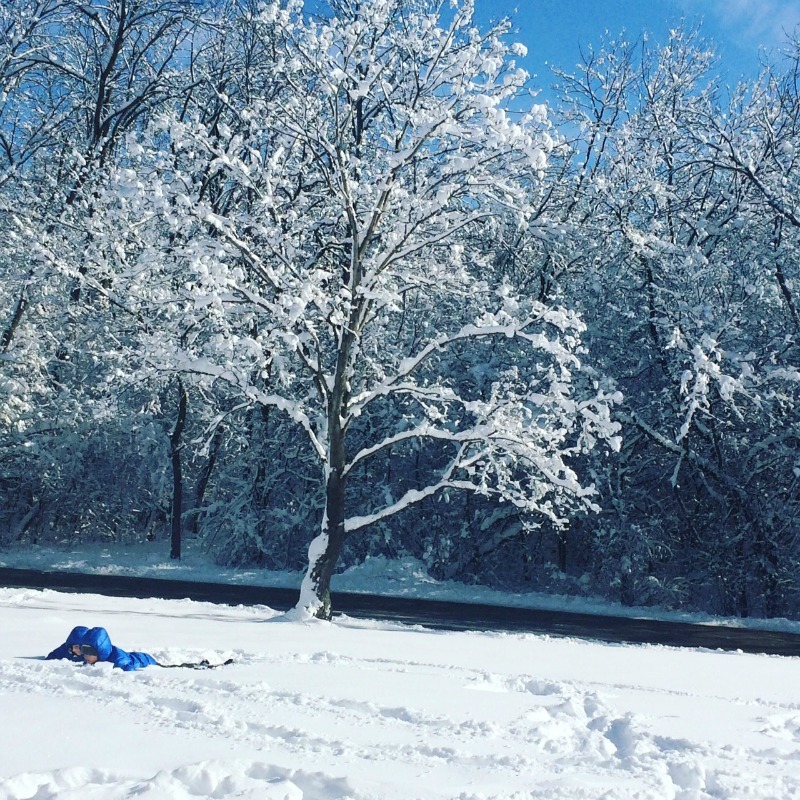 If you’re feeling extra adventurous and are able to bundle everyone up enough to enter the frozen tundra, try some of these ideas outdoors. Continuing with the frugal theme of this post, this idea won’t cost much at all but is definitely going to be a winner with the kids. You’ll need a few flavors of Kool-Aid (or food coloring), and some old paint/spray bottles. 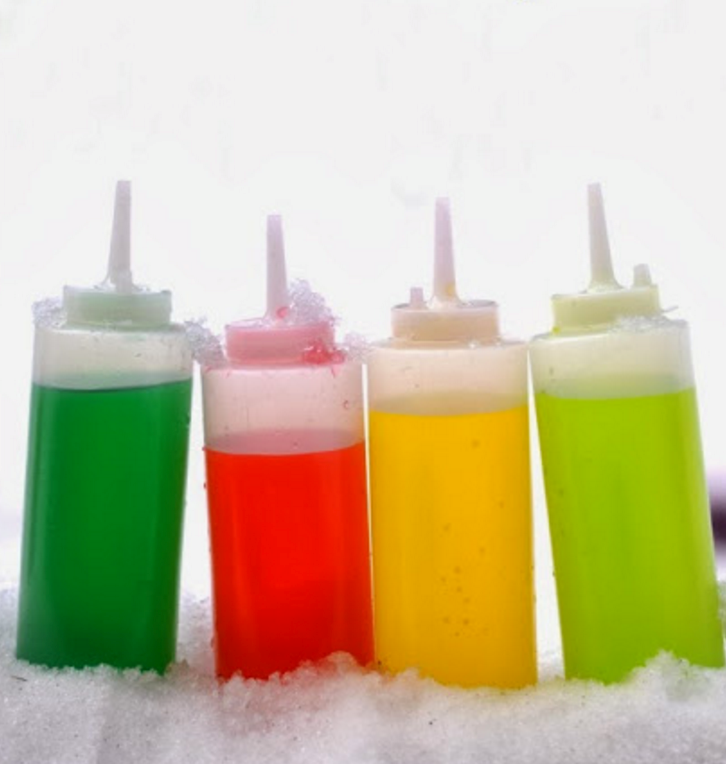 Simply make the Kool-Aid or add food coloring to different bottles until you have a selection of different colors to use. Then let the fun begin! Head out to the snow and let the kids create little masterpieces of their own. 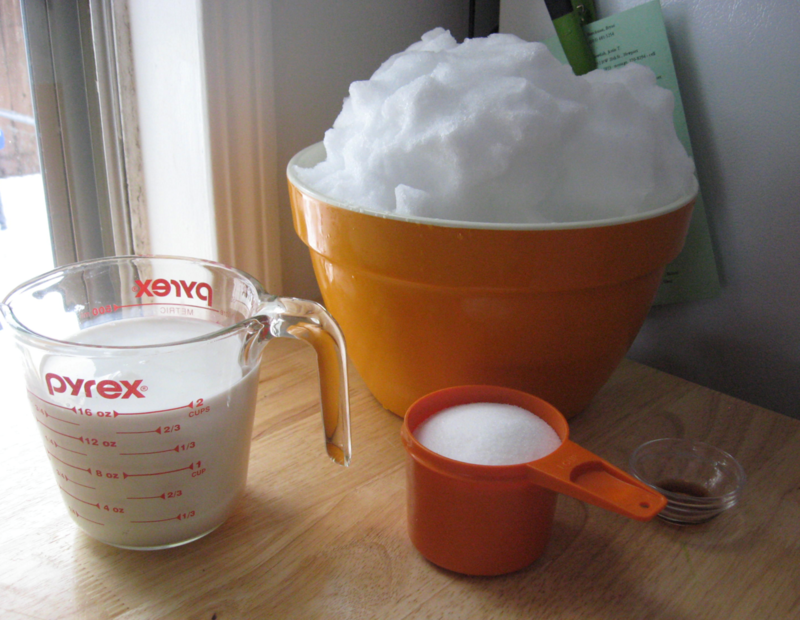 The best part is if you used Kool-Aid, the snow becomes natural snow cones! Just be sure that the snowy area that is being painted isn’t yellow to start with, or dirty. Obviously, that won’t end well. This is the ultimate idea. Not only are the kids excited to have the day off from school, but you can flex your super mom skills and make them ice cream with the fresh snow that’s piling up outside! It’s the best of both worlds. I know, ice cream on a cold day? Trust me on this one. It will be a hit. You will likely already have the ingredients in your pantry (sugar, vanilla extract, and milk), so all you’ll need to do is gather up around a bunch of fresh snow. An easy way to do this is to place a large bowl outside and let the snow steadily pile up. This way, you will gather the cleanest snow possible. Once the bowl is filled up to just under the lip, bring it inside and start mixing in the other ingredients. Add about a tablespoon of the vanilla (a little goes a long way here), and a cup of sugar. 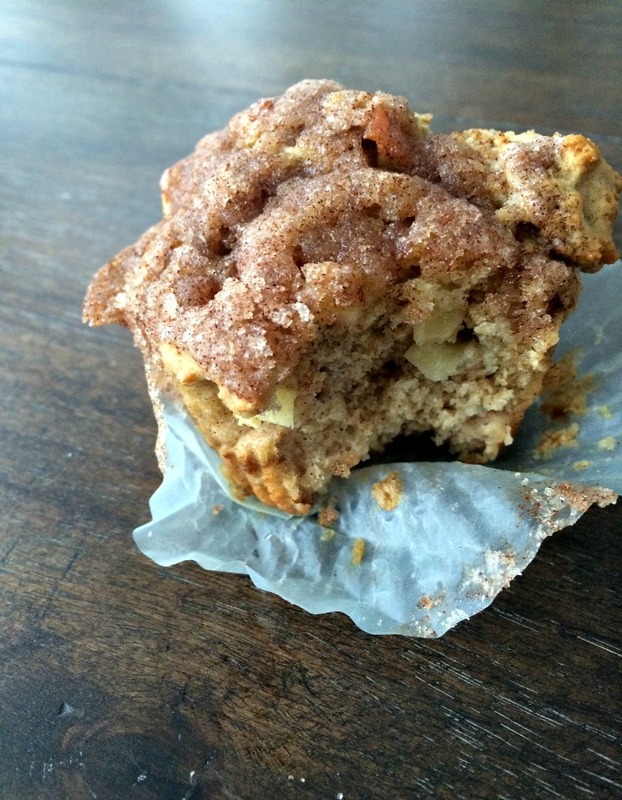 You can add more sugar to taste. Mix it all together, and add up to two cups of milk (or chocolate milk!) to the desired consistency. It’s important to do this process as quickly as possible, so the snow doesn’t melt! Serve it immediately and enjoy some homemade snow ice cream. Just when we thought we’d have a ‘mild’ winter, sailing through December hovering around 40ish, we hit January. That dreaded first month of the year. January is just…….dumb. Like, I don’t understand how ONE degree is even a remote option for a day. One. single. degree. It’s painful. The other night, decked out in plaid flannel from head to toe, I declared it too cold to eat at the bay window. That’s right, it’s was too cold to eat at a table inside our home simply because it was near all windows. 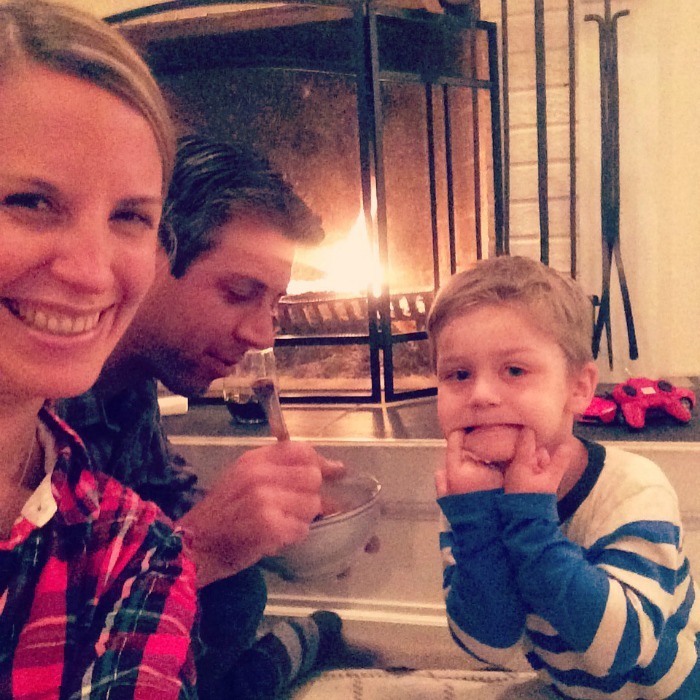 Thus started our new polar vortex tradition: picnic dinners by the fire. Seriously, try this out. The kids were totally into it. And I was totally into it as well because I claimed the seat that was practically in the fire, thus finally being able to warm up. Lay a big blanket down (that’s easy to wash) and cuddle up. Now, what to make? Sorry January dieters, light and healthy just won’t cut it for a fire picnic dinner. This is warm you up from the inside out comfort food kind of night. Gooey, warm, and bubbly. All necessary. Polar vortex chili is a great way to begin. Cheesy chicken pot pie will also really warm you up. Crock pot meals tuscan chicken stew or ropa veja are super comforting and you get to smell them cooking all day long. And let’s not forget about wintery sausage stew. All of these rock, will warm you up, and can be served in deep bowls perfect for easy eating on the blanket by the fire. Want one more brand new option? 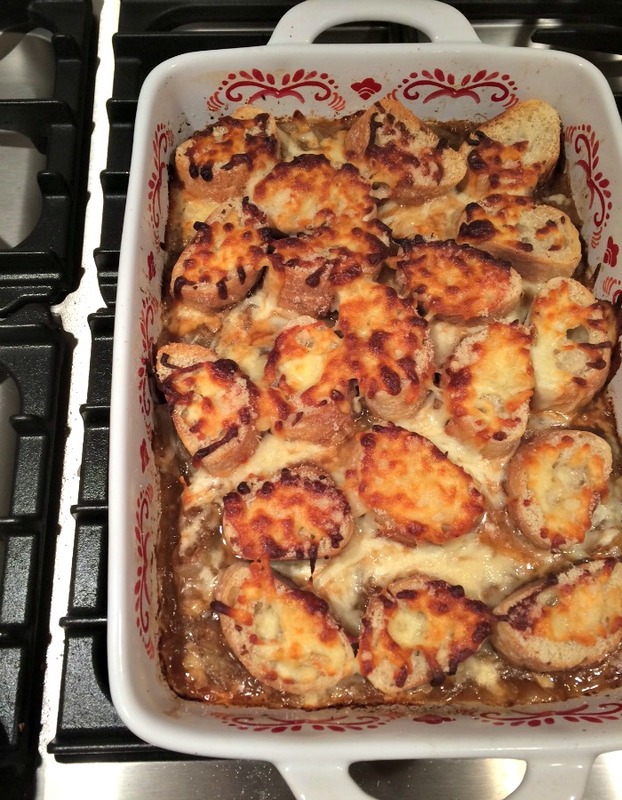 We just devoured french onion soup casserole last week when the iphone temp read a balmy -3. It was perfect, perfect. Normally I would suggest a nice light spinach salad on the side but we were beyond salad that night. Desperate times, man. We each had three thick slices of this genius casserole, and it hit the spot: gooey, warm, and bubbly. For a moment, just a mere moment, the whole -3 temperature felt kind of……nice. Try it out this week and stay warm my friends! A comforting and flavorful casserole that will warm you up from the inside out! Add the beef broth and the Worcestershire sauce to the onions. Heat the broth mixture until it boils and then reduce heat to low. Simmer, uncovered, for about 30 minutes. The broth will reduce greatly. Lightly toast the slices of bread. Place toasted bread in a single layer on top of onion/broth mixture spaced evenly.